Catholic Bishops led by Zambia Conference for Catholic Bishops – ZCCB Archbishop Telesphore Mpundu are currently holding a meeting with incarcerated opposition UPND president Hakainde Hichilema following their meeting with dictator Edgar Lungu In their quest for solution to the tension in the country. THE bishops arrived at Mukobeko maximum prison at about 09:45hrs and were received by senior prisons officers. According to information obtained by the Watchdog, the prison authorities have moved HH into some clean office but they initially demanded that they meet him from his cell inside the prison. 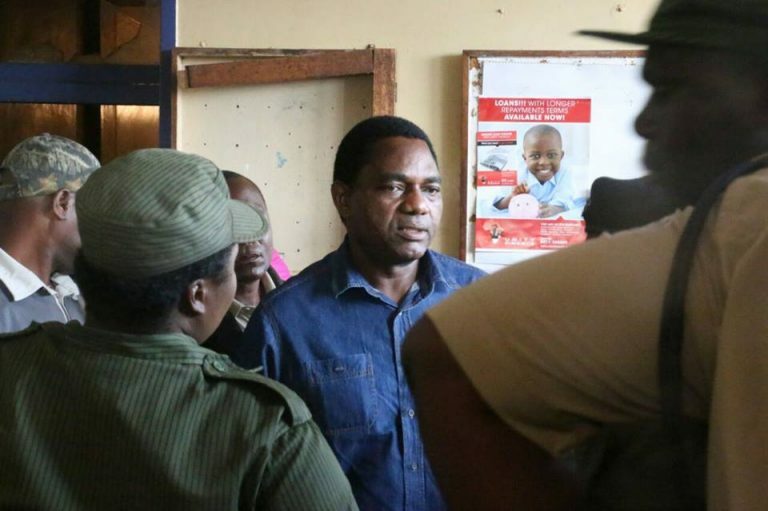 As part of prescribed torture, Hichilema has been kept in a filthy cell without water and toilets and had been forced to use a bucket to answer call of nature as well as for bathing. The outcome of the talks is yet to be known, Hichilema offered to have unconditional talks while Lungu is demanding that he be recognised before he can consider dialogue and possibly freeing Hichilema with his five co accused. MEANWHILE many other UPND officials remain in jail while others are appearing in court for various trumped up charges. Ends….